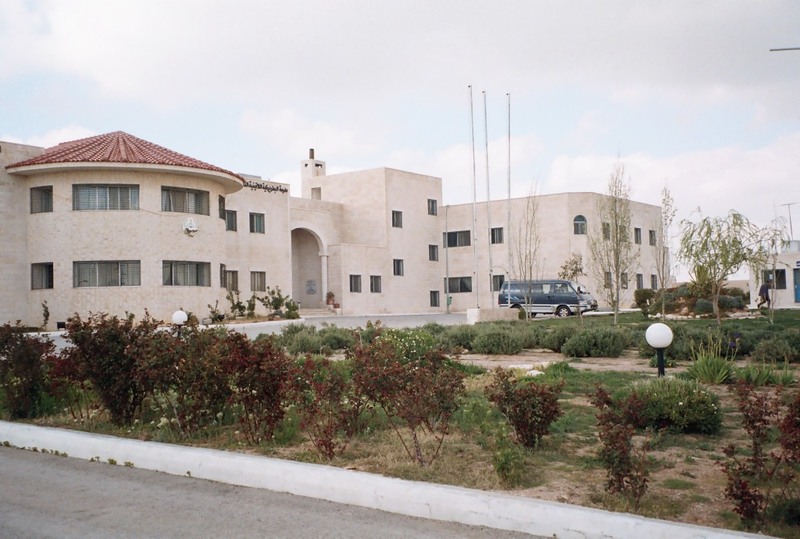 Wassieh was established as a new, purpose-built High School in September 2000. The idea of founding a Secondary School in Southern Jordan, gathering together the children from the parishes of Karak, Ader and Smakieh, had been a dream for many years. 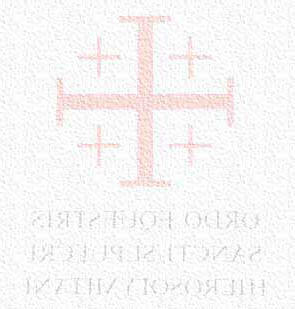 The possibility of this dream becoming a reality was largely due to the encouragement and financial support of the Equestrian Order of the Holy Sepulchre of Jerusalem. Many representatives attended the magnificent inauguration in September 2002. These included Knights and Dames from the Grand Magisterium in Rome, the Lieutenancies of England and Wales, Scotland, France and Italy and the Schools Commission. His Excellency Bishop Selim Sayeg, Bishop of Jordan, and His Excellency Bishop Fuad Twal, Bishop of Tunis, represented the Latin Patriarch, His Beatitude Michel Sabbah. Ecclesiastic, Government and Civil Authorities personalities were also present. The school is situated about 130 kilometres from Amman near the village of Rabba. The area is mostly agricultural, hilly, with a dry Mediterranean climate resulting in poor economy. Many tributes were paid to all those who had helped to make this dream come true. The buildings are well designed to provide excellent accommodation and furnished with up to date educational equipment. They comply with all the requirements of the Jordanian Ministry of Education. The site covers about six hundred square metres, including four large playgrounds. The building has 36 classrooms plus laboratories, assembly halls, sports halls and the usual administration offices. It is a mixed school with well over six hundred pupils from Grade Four, ten years old, to Grade Twelve, eighteen years old. About two thirds of the students are Christian and the rest Muslim. They come, by bus, from many different locations in the surrounding area including the three traditional Latin parishes of Karak, Ader and Smakieh.A number of children also come by bus from the phosphate chemical industries complex down near the Dead Sea in the west. There is a need to find some space where these vehicles can park safely while the students mount and dismount. On the teaching staff there are forty-one full time teachers and three who work part time. They are an excellent staff, each well qualified in his or her own subject, twenty-eight of them are Christian and the remainder Muslim. In addition to the teaching staff there are nine managerial staff with other assistants. There are five laboratories, two for computer studies, one for each of Chemistry, Physics and Biology. In addition there is a well-stocked and organised library. 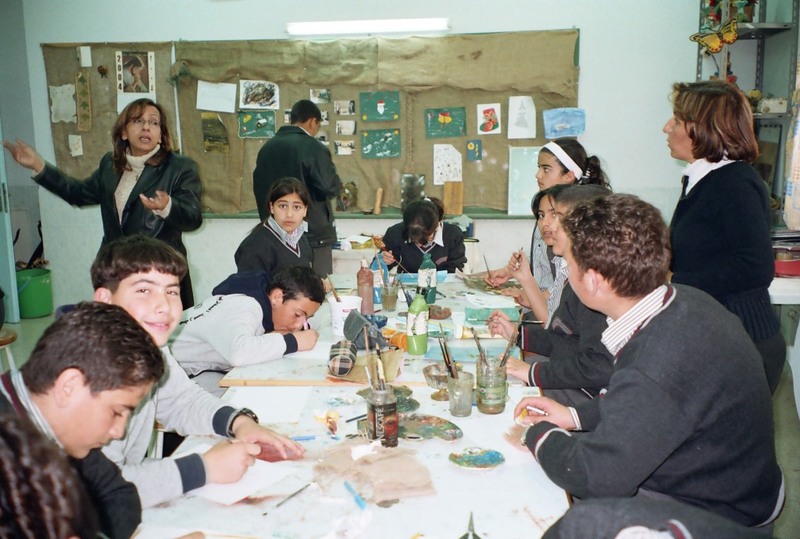 The school implements the National Curriculum of Jordan and, being a private school, co-ordinates this with other subjects in music, language and literature. Counselling, health care and special education for children with disabilities are also provided. Extra curricular activities are numerous, encompassing the environment, social, music and sporting events, a musical band and choir have been formed with the students performing at local entertainment events. There is a very successful girls football team. A Solidarity program with Christians around the world and local voluntary work are a major part of the school’s philosophy. With the presence of a priest, who lives on the site, and a chapel in the centre of the centre of the school, the Christian identity of the school is identified and recognised. Daily Mass is celebrated in the chapel every morning, the students attending on a voluntary basis. Christian values are reflected in the educational philosophy with Christian and Muslim children having their separate classes for religious studies but joining together for a communal act of worship each morning, communal prayers being recited by both Christian and Muslim children together.